First, I'm doing this on my phone! 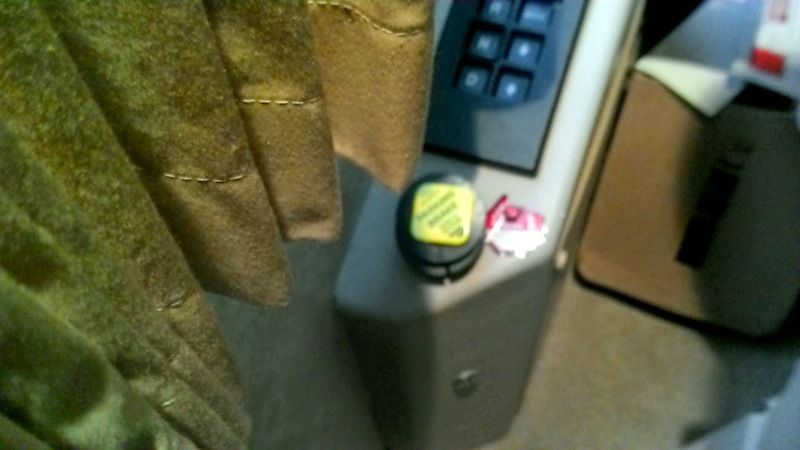 We have internet but I can't seem to connect it here in RV land. A new person parked behind us. A woman alone. Lola welcomed her by woofing non stop. Egads. She's been sheltered. At least though I can say we are progressing as far as riding in the car and entering and leaving . They are all laying around on the floor so content. So, the title today is the brake. This is our brake. When it's pushed down the diesel engine will want to head out into the lake. Our fear was with three frisky kids here ,one would for sure hit it. So, Roger went to the plumbing department of Home Depot and bought three .75" rubber washes. He cut a slice in each and put them on the base of the brake knob. Fantastic solution!!!! Because for sure , Sammy in his spurt of energy went right to that area. We are safe!! That and chock blocks on the rear wheels. Roger ordered XM radio today. We have it in the rv so tonight we are listening to some great music. 70's /80's. 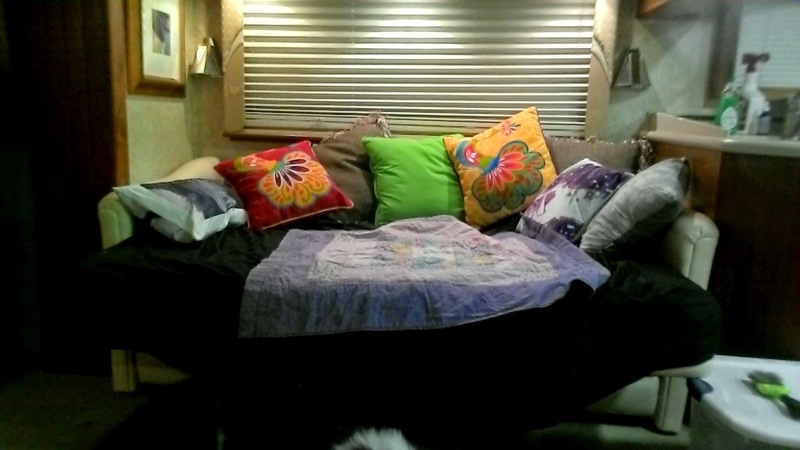 So yesterday I went to Pier 1 and bought a pappasan chair for the RV thinking it would be so comfy. Brought it home and sat it in the living room. We'll needless to say the chair took up most of the room so back in the car it went. Today I traded the chair for fun pillows. With the couch opened it makes a comfy area to snug in with the kids to read or just draw. Roger wants to use my tablet now so til tomorrow!! Carol, I sent you an email. Hope it gets to you.